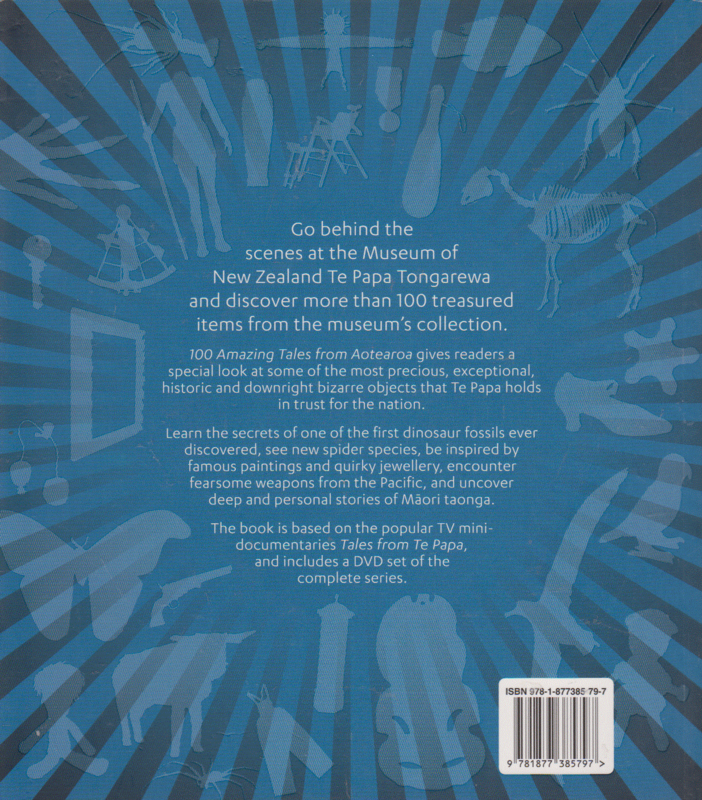 Go behind the scenes at Te Papa Tongarewa Museum of New Zealand and discover more than 100 treasured items from the Museum's collection. 100 Amazing Tales from Aotearoa gives readers a special look at some of the surprising, wonderful, and significant pieces that Te Papa stores in trust for the nation. Learn the secrets of one of the first dinosaur fossils ever discovered, see new spider species, be inspired by famous paintings and quirky jewellery, encounter fearsome weapons from the Pacific, and uncover deep and personal stories of Maori taonga (treasures). 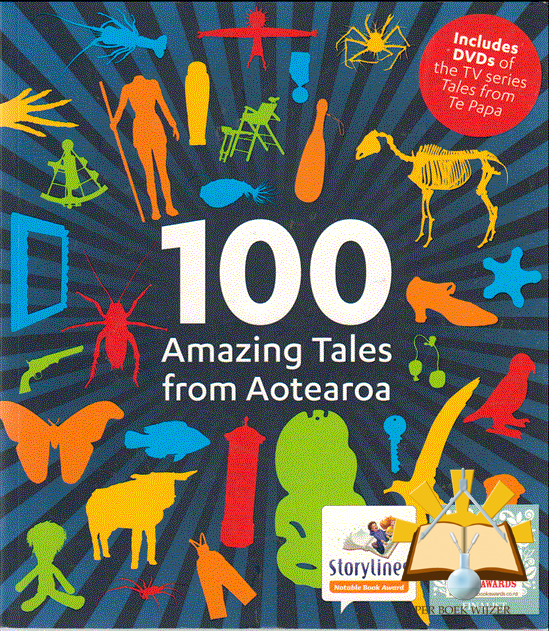 The book is based on the popular TV mini-documentaries Tales from Te Papa, and includes a DVD of the complete series ? with a bonus 20 episodes.